This half term in English, Year 10 have been preparing their GCSE English Oracy assessment under the topic ‘citizenship’, set by the exam board. Year 10 have been writing a persuasive speech encouraging their listeners to be better citizens by helping the homeless. During our research and lessons about the homeless, year 10 showed great compassion for people in this situation and wanted to be able to help. As a class we made a list of essentials that we think homeless people may miss out on, things such as : toothbrushes, toothpaste, wet wipes, bottled water, gloves, hats and much more. Year 10 then made up 15 ‘care packages’ for the homeless to have over Christmas. 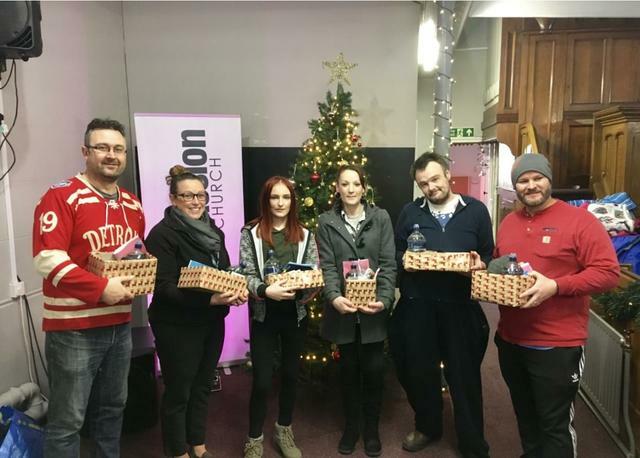 The Compassion Church in Bridgend is holding a ‘Pamper The Homeless Day.’ As a class we took a trip to the Church to drop off our care packages and hear what the project had done and were doing for the homeless. We listened as the Church workers told us about the conditions homeless people sleep in and sometimes when the temperature gets to freezing the Church opens its doors for homeless people to have somewhere to sleep away from the streets. Whilst we were there we met 2 previous homeless people who due to the Church’s support had both since found accommodation. One of the homeless people told us that some nights he still cries himself to sleep with happiness as he can’t believe he finally has his own home. Year 10 were thanked immensely by the church and the 2 previous service users. The whole class were a credit to the PRU with their understanding and behaviour whilst at the Church's project and preparing the care packages.